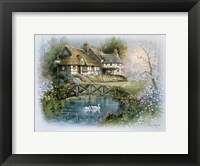 Cottages were built for the first time in England, with the residents living in a house with the ground floor and bedrooms usually fit within the roof. 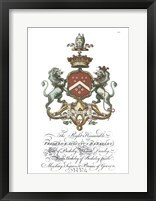 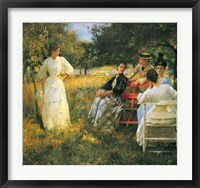 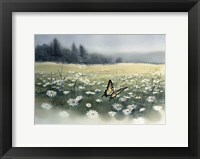 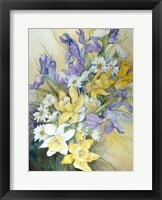 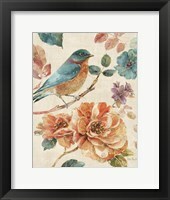 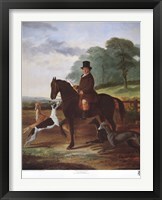 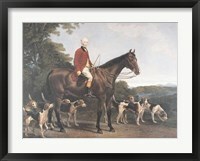 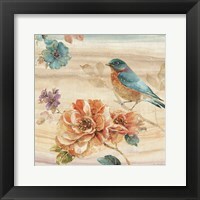 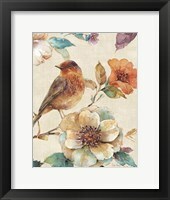 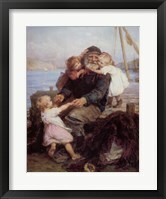 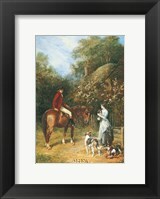 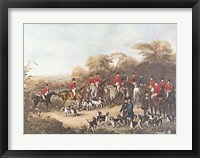 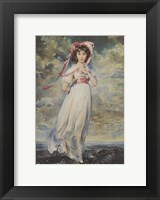 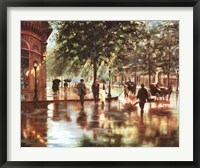 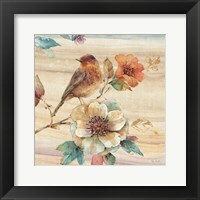 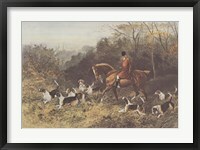 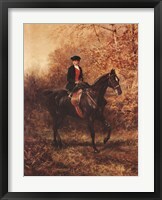 Over the course of time, the term was adopted to describe others more houses from all over the world, but FramedArt.com focuses on the original series collection of Framed English Cottage Art. 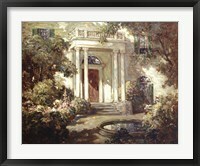 Similar houses are still bill today, although the term is more loosely used to describe any cozy dwelling, usually in rural locations. 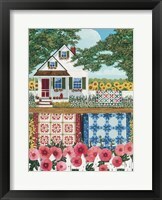 Framed English Cottage Art highlights the coziness of these houses, where people lived closely together, frequently sharing the same rooms. 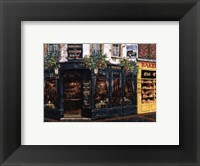 Even though their popularity dwindled over the last decades, there are plenty of builders who go to great lengths to erect structures that can be described as mock cottages. 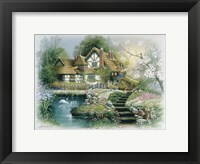 On the other side of the Atlantic, many holiday homes built in the wilderness are described as cottages, even though they look very different. 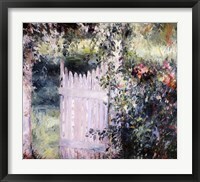 Framed English Cottage Art don’t focus exclusively on the building itself, but also on the surrounding and particularly on the small gardens. 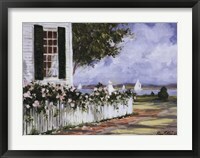 Talented painters have used their brush to capture the beauty of these tiny oases of serenity where the residents chose to plant flowers or allowed the vegetation to take over. 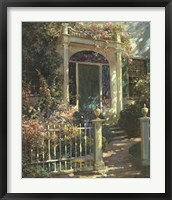 The front porch of English cottages is also an iconic image that can be admired in artwork, with Abbott Fuller Graves painting several such covered entrances, usually engulfed by colorful flowers.